The SBPC held its first meeting on January 26th at VFW Post 5631. 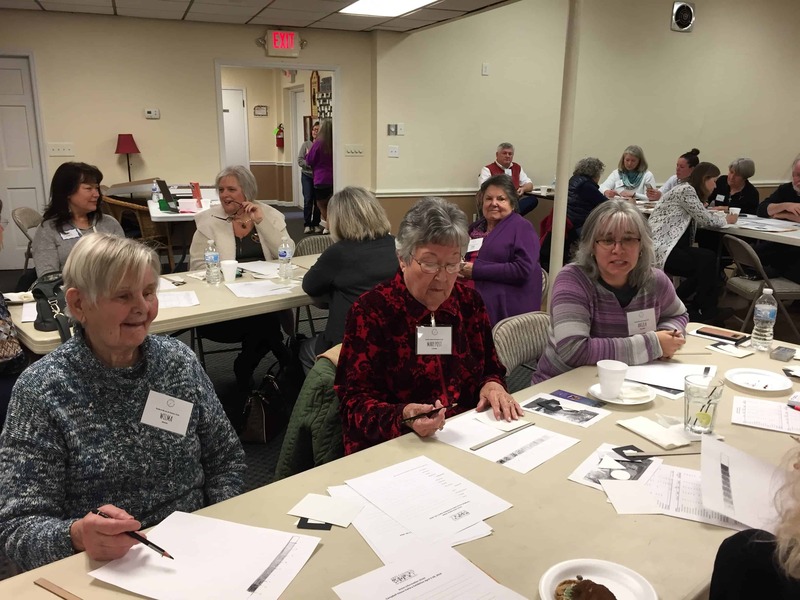 Newly elected president, Everett Cox, updated the membership on our upcoming events this spring – our member exhibition at the Campbell House Galleries in Southern Pines in April and the dedication of our new mural, “Bring the Arts Together,” in May. Following the meeting, Emily Thompson gave a demonstration on some of the basics that many artists struggle with – value studies and perspective. Triangles and circles and squares, oh my! Emily Thompson recently published her book, “Basics of Art and the Elements of Design”. It covers the elements of design, composition, perspective, etc. She teaches this course privately and through the Central Carolina Community College. Interested in joining the SBPC? Come to one of our meetings. You’ll be able to meet some of our members, learn about upcoming events and, if you’re ready, join right then.